Autism spectrum disorders (ASD) affect around 1% of the world’s population and are characterized by a range of difficulties in social interaction and communication. There are many different genetic mutations which cause autism, and they are all very rare, and it is this heterogeneity that makes it difficult to develop effective treatments. Now, a study from researchers at IST Austria identifies a new genetic cause of ASD, and the mechanism by which this mutation causes autism. The team state mutations in other genes share the same autism-causing mechanism, indicating that they may have underscored a subgroup of ASDs. The study is published in the journal Cell. Previous studies show that the identification of novel genes, especially in heterogeneous diseases such as autism, is difficult. Earlier studies from the lab described abnormalities in the branched-chain amino acid (BCAA) catabolic pathway as a cause of ASD. The group identified a mutation in a gene that is involved in the breakdown of these BCAAs in several patients with ASD, intellectual disability and/or epilepsy. Of course, not all genes causing autism affect amino acid levels, and these forms of autism are very rare, however, the team hypothesized that it is possible that even more autism-causing genes fall in this group. The current study identifies mutations in the gene SLC7A5, which transports BCAAs into the brain, in several patients born to consanguineous marriages and diagnosed with syndromic autism. The current study utilises mice in which SLC7A5 is removed at the blood-brain barrier to understand how mutations of SLC7A5 lead to autism. Results show that this reduces the levels of BCAAs in their brain, and interferes with protein synthesis in neurons. 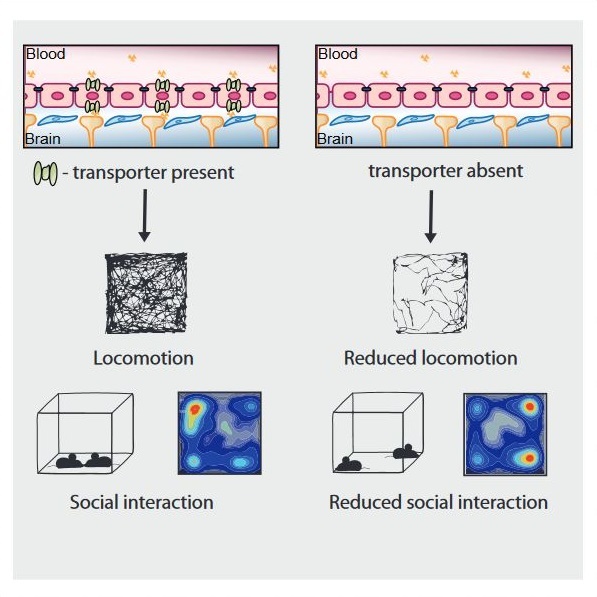 Data findings show that consequently, these mice show reduced social interaction and other autism-like changes in their behaviour, which are also observed in autism mouse models. The team note that they also identified several patients with autistic traits and motor delay carrying mutations in the SLC7A5 gene. The lab state that they were able to treat some of the neurological abnormalities in the adult mice missing SLC7A5 at the blood-brain barrier. They go on to add that after delivering BCAAs straight into the mice’s brains for three weeks, an improvement in autism-like behavioural symptoms was observed. The researchers conclude that their research found a potential treatment for certain symptoms presented in this form of ASD in mice, however, translation into a treatment for ASD patients will require many years of additional research. The team surmise that their data elucidate a neurological syndrome defined by SLC7A5 mutations and support an essential role for the BCAA in human brain function. For the future, the researchers state that they have shown that some of the neurological complications presented by mice missing Slc7a5 can be rescued, and so it is possible that, eventually, patients may be treated as well. An international team of researchers led by scientists at IST Austria identified a new form of syndromic autism | Study published in Cell.